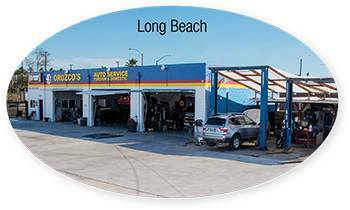 Pontiac Repair, Service and Maintenance at Orozco’s Auto Service in Long Beach, CA also serving Lakewood, Bixby Knolls, Signal Hill, Wilmington, Torrance, Seal Beach, Carson, Paramount, Bellflower, Cerritos and San Pedro, CA. Pontiac was a brand of automobiles manufactured and sold by General Motors until 2009. Although Pontiac production ended in 2009, Pontiac remains a registered active trademark of GM. Pontiac was established in 1926 as a companion make for GM’s more expensive Oakland brand of automobiles, but it overtook Oakland in popularity and replaced the Oakland brand entirely by 1933. Pontiac then became a companion brand for Chevrolet. Pontiac was sold in the U.S., Canada, and Mexico, and became advertised as the performance division of General Motors. It was more popular in Canada that in the U.S., where it was marketed for much of its history as a low-priced vehicle. The Pontiac brand was named for the Ottawa Native American war chief, and for much of its early history, the brand used Native American symbols and emblems in its badging, such as a Native American headdress, used until 1956, and the Pontiac emblem used until its disbandment, which is meant to be an arrowhead. In early 2009, GM announced that it would discontinue manufacturing Pontiac-branded vehicles amid financial troubles and the government bailout, and focus on four core brands in North America: Chevrolet, Buick, Cadillac, and GMC. Pontiac’s legacy is one of mixed heritage. Pontiac’s early models were quiet luxury cruisers, a step up from their entry-level Chevrolet siblings. In the 1950s, Pontiac began to focus more on performance, with a much more powerful new overhead valve V8 introduced in 1955 and a Tri-Power Pontiac Bonneville used as the pace car in the 1958 Indianapolis 500 automobile race. Pontiac is credited by many with inventing the muscle car, although some people debate this (not to be confused with the first pony car, which is almost universally recognized to be the 1964 Ford Mustang). The Pontiac GTO was debuted in 1964 as an option package for the Pontiac Tempest midsize coupe with the intention of making a powerful performance car affordable and available to the masses, and after great sales success it became a standalone model in 1966. The name GTO, given by John DeLorean is said to have been inspired by the successful Ferrari 250 GTO race car, although some GM employees deny this. The GTO won Motor Trend’s Car of the Year award in 1968. The GTO lasted three generations, spanning 1964 to 1973, and was resurrected from 2004 to 2006 as a rebadged Holden Monaro (GM’s Australian brand). The fourth-generation GTO was more powerful and faster than its main competitor, the Ford Mustang GT, but was a sales failure, which is often blamed on its somewhat anonymous styling, which many magazines compared to the Chevrolet Cavalier, and higher price. Other notable Pontiacs include the Fiero – an experimental mid-engine compact sports car, the Firebird – a pony car which shared its platform with the Chevrolet Camaro, the Solstice – a small rear-wheel drive roadster and coupe, the G8 – a powerful rear-wheel-drive sedan based on the Holden Commodore which was widely lauded as an affordable and formidable competitor to the BMW M5, and the Aztek, which was highly praised for its features and capability but was a sales failure because of high pricing and almost universally hated styling. Pontiac in the 1980s and 90s is said to have lost its way, with cheap, boring front-wheel-drive models that lacked build quality and performance and tarnished the reputation of the brand. In the final few years before its demise it was starting to receive praise and some sales success again with the Solstice and G8, but it was too little too late and could not save the brand. At Orozco’s Auto Service in Long Beach, CA we make it our number one priority to keep your Pontiac running efficiently with regular service, maintenance and repair. Automotive maintenance is important to keeping your vehicle running in top condition and lasting long into the future. We provide a 30 – point inspection for your Pontiac with any service to help limit the amount of repairs needed for your vehicle. 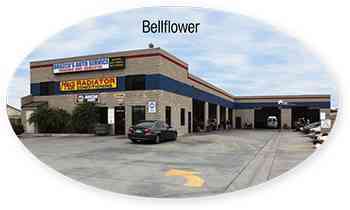 Our Pontiac repair and service shops are located in Long Beach, CA. 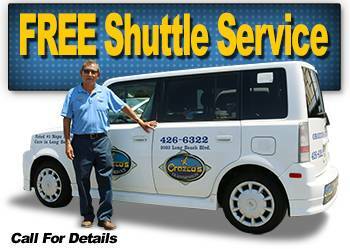 We proudly also serve the following areas: Lakewood, Bixby Knolls, Signal Hill, Wilmington, Torrance and San Pedro and surrounding areas. 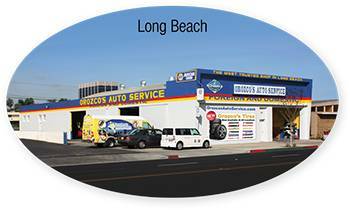 We at Orozco’s Auto Service look forward to being your exclusive Long Beach auto repair and service shop for your Pontiac. 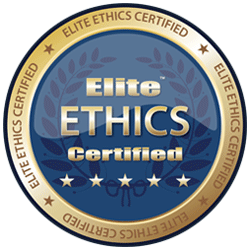 Click Here to contact us, or give us a call at Long Beach Blvd. 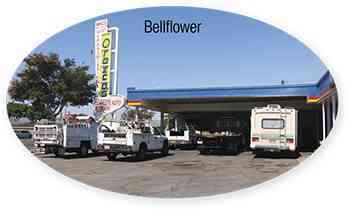 (562) 426-6322 or Atlantic Ave. (562) 427-4256.